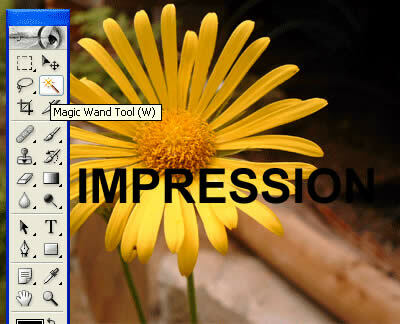 To create an impression effect, follow the below steps.First, import any image in photoshop. I have taken a flower image to show you the effect. 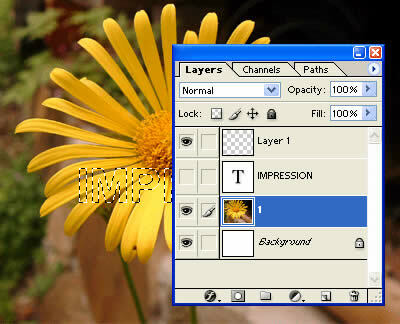 Take another layer and type some text on it. 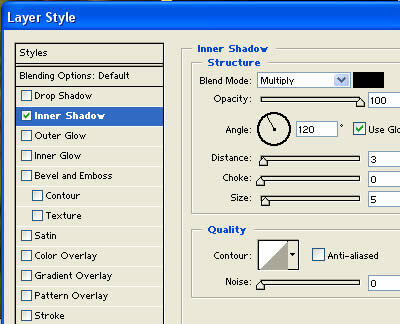 With the help of magic wand tool select the text to see the outline selection as in the below figure. Delete the text and the above image is the resultant image after deleting the text. After that, select layer 1 in which the flower image is present.Keep the text selection highlighted. 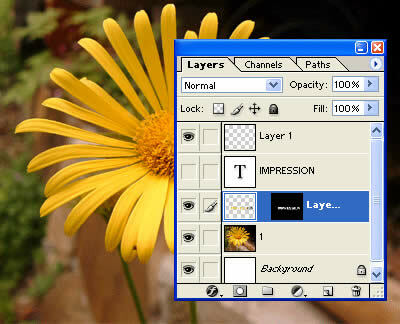 Copy the selected area from layer 1 and paste it in a new layer. 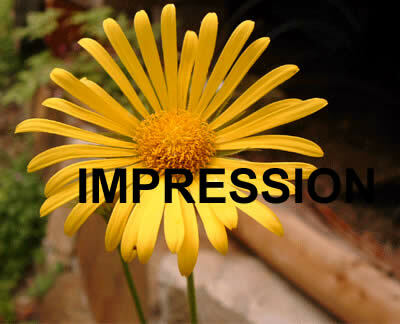 Go to layer style by double clicking on the new layer and apply drop shadow or any effect to it. The result will be like in above figure.